For best results, this item should be used with the products listed below. Tick any item to add it to your purchase. The bathroom is one of the most likely locations for falls to happen, making it a danger zone for the elderly and disabled. However, you can't always be there to monitor your patient or loved one, particularly if they want some privacy when using the toilet or bath. The Rondish Wireless Pull Cord Disabled Toilet Alarm System helps diminish this problem, enabling the user to simply pull a cord and trigger an alarm to attract the attention of a carer. But what if one alarm receiver isn't enough? 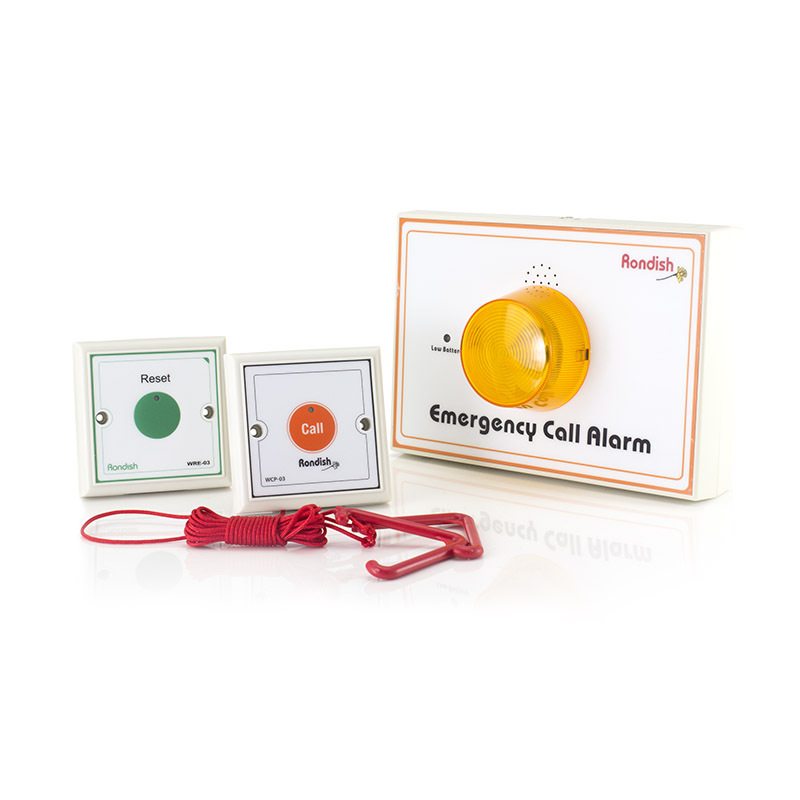 You may have set up the alarm unit in your bedroom, meaning you could miss an alert if you're downstairs. The bigger your home, the more of a problem this becomes, and is therefore of particular concern if you are using the system in a care home. 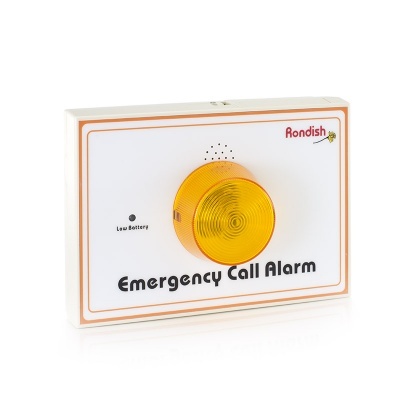 Thankfully, additional Strobe Light Alarms can be added to your system, meaning you can extend the range to help decrease the chance of missing an alert. 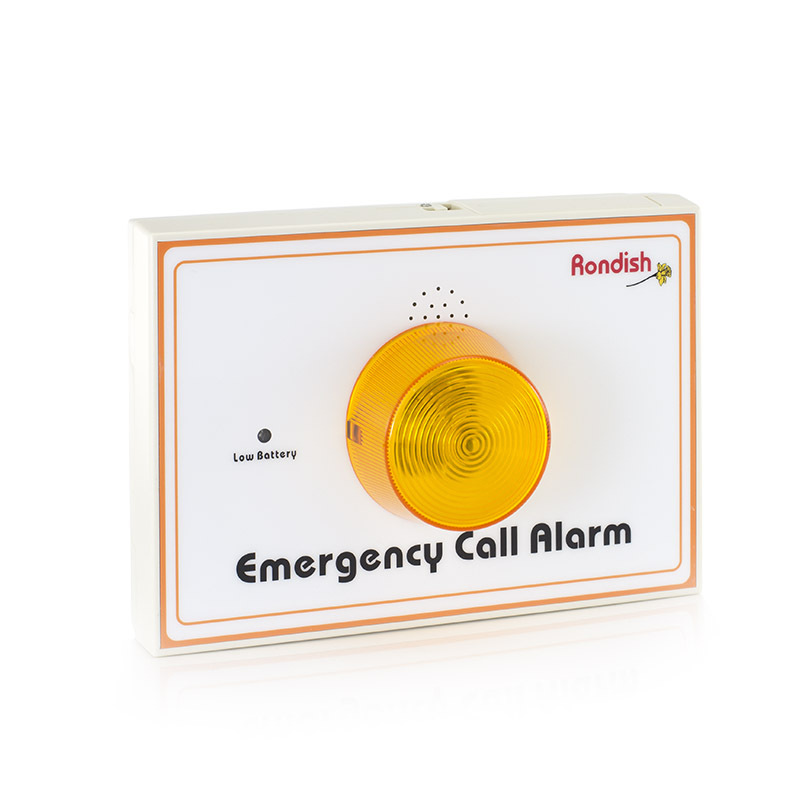 Featuring a built-in signal booster, you simply add it to your existing Rondish Disabled Toilet Alarm to help you stay safe and aware across your home. How Does the Strobe Light Alarm Work? 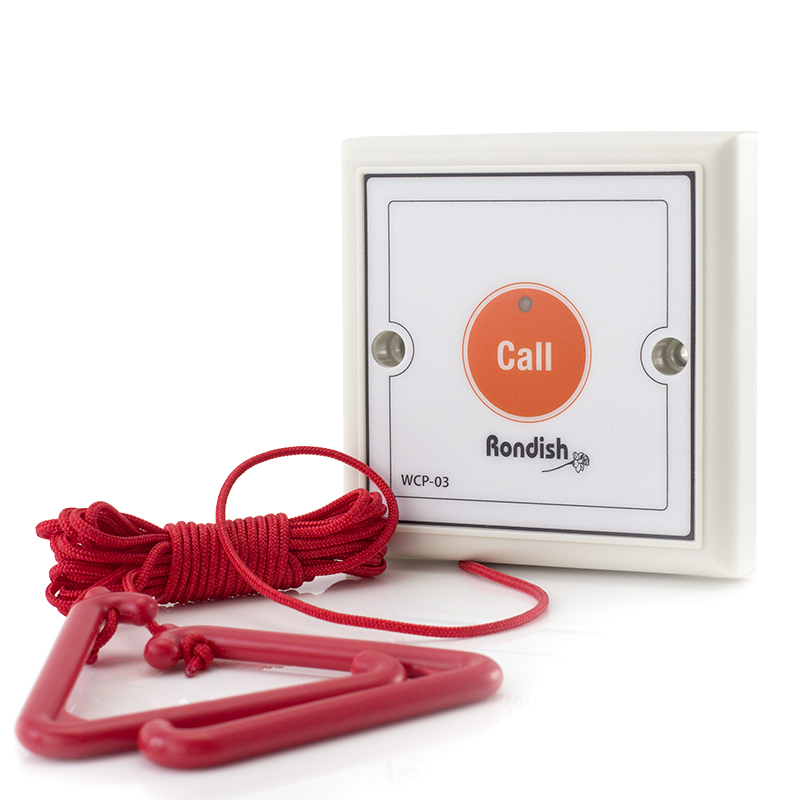 The original alarm in the Rondish Wireless Disabled Toilet Alarm has a built-in repeater, so you simply place your new alarm within approximately 100m of the original and the signal will be relayed to it if the emergency cord is pulled. Multiple Strobe Light Alarms can be placed around your building, within range of an existing alarm, to expand the alerts as far as you like and ensure your home is as safe as possible. To add an additional Strobe Light to your system, a simple code learning procedure is used to register multiple cord alarms. This means you can trigger the strobe light from multiple Rondish Disabled Toilet Alarms if required.